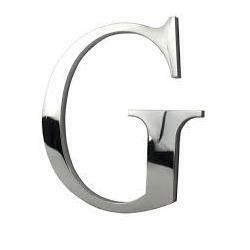 We are the manufacturer, trader and supplier of Metal Letter. This product is offered to the clients in various designs, colours and sizes to pick from. Our company is the leading for offering Brass Letter to the clients. This product is available in various shapes and sizes as per client’s variegated demands. Brass Letter is manufactured under the proper supervision of professionals by utilizing high grade raw material and sophisticated technology as per set industry standards. Our company is widely appreciated for providing Stainless Steel Letter to the clients. This product is available in varied thicknesses and sizes as per clients' requirements. Stainless Steel Letter is primarily used in public places, hotels, restaurants, shops, exhibitions, railway platforms, factories, banks and cinema halls. 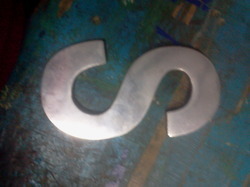 Looking for Metal Letter ?